HALY, Sir WILLIAM O’GRADY, soldier, general officer commanding British forces in North America; b. 1810, son of Aylmer Haly of Wadhurst Castle, Sussex, Eng. ; d. Halifax, N.S., 19 March 1878. William O’Grady Haly joined the army in June 1823 when he was 13, became an ensign in the 4th Foot on 17 June 1828, and a captain in April 1834. Between 1828 and 1854 his regiment served in Scotland, Ireland, Australia, and India as well as in England. 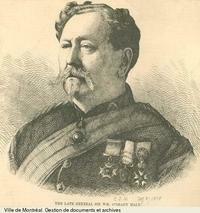 Haly fought in the Crimean War, 1854–55, won a medal with four clasps, and was awarded the cb on 5 July 1855 and also the Third Order of the Medjidie and the Turkish Medal. He was appointed lieutenant-colonel of the 38th Foot, then stationed in India, on 4 Feb. 1859 and served in the East Indies from 1861 to 1870; he was promoted major-general in January 1865 and lieutenant-general, May 1873. From 6 May 1873 he was general officer commanding the British forces in North America, stationed at Halifax. 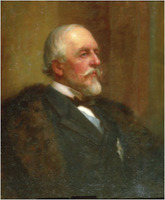 The governor general, Lord Dufferin [Blackwood*], wanted the Halifax garrison to come under the command of the goc Canadian militia, a new appointment in 1874, but the War Office feared it would thereby lose control. Major-General Sir Edward Selby Smyth, the first incumbent of the new appointment, was junior to Haly, who had to be reminded by Dufferin that the goc militia was not under his command and would not report to the War Office through him. In 1877 Haly’s independence of Ottawa, combined with negligence in the offices of the governor general and the prime minister, Alexander Mackenzie*, led to a confrontation when Haly arbitrarily ordered the stopping of traffic on the Intercolonial Railway because it had failed to build a tunnel across War Department land near a powder magazine in Halifax, as promised by Mackenzie. Instead it had made a cutting, and the War Office had already refused to approve an iron roof over this as a substitute. 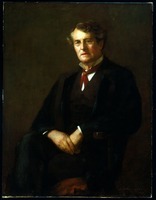 Dufferin protested emphatically against Haly’s action, which he said was “too violent a proceeding even for a lieutenant-general.” He sent Haly a telegram “couched in sufficiently strong language” to make it possible for Haly to back down and postpone the carrying out of the War Office’s orders. Shortly after this incident Haly asked for a recommendation to the vacant governorship of Gibraltar. As goc British North America Haly was appointed administrator to act as head of government during the absences of the governor general. He served in this capacity from 12 Oct. to 2 Nov. 1874, from 15 May to 21 Oct. 1875, and from 21 Jan. to 3 Feb. 1878. But Dufferin thought it “a good deal of bother” to bring the goc British North America all the way from Halifax especially as he was likely to know little of Canadian affairs and might be “a headstrong soldier unused to civil life and anxious to ‘make a splash.’” He found Haly “fidgetty and incompetent.” He suggested that the goc militia would be a more suitable administrator. 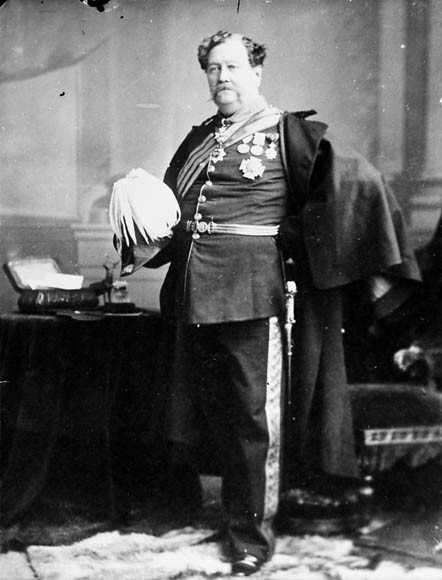 During Haly’s service Dufferin succeeded in postponing the introduction of a Colonial Office arrangement for the administrator to receive one-fourth of the governor general’s allowances; at Mackenzie’s suggestion, he did not call upon Haly to act as his deputy during short periods of leave in remote parts of Canada but appointed the chief justice of the Supreme Court, with somewhat circumscribed powers. In 1875, Haly’s incompetence led to a virtual diminution of the governor general’s prerogative of pardon. A Canadian minister had told a prisoner that he would be reprieved from a death sentence at a time when the administrator had not made a decision about the minister of justice’s recommendation. The colonial secretary, the Earl of Carnarvon [Herbert], said Haly should have stood firm and used the telegraph to obtain instructions instead of backing down. Haly was appointed colonel of the 106th Regiment in 1874, was knighted (kcb) on 29 May 1875, transferred to the command of the 47th Regiment on 2 Nov. 1875, and was promoted brevet-general on 1 Oct. 1877. 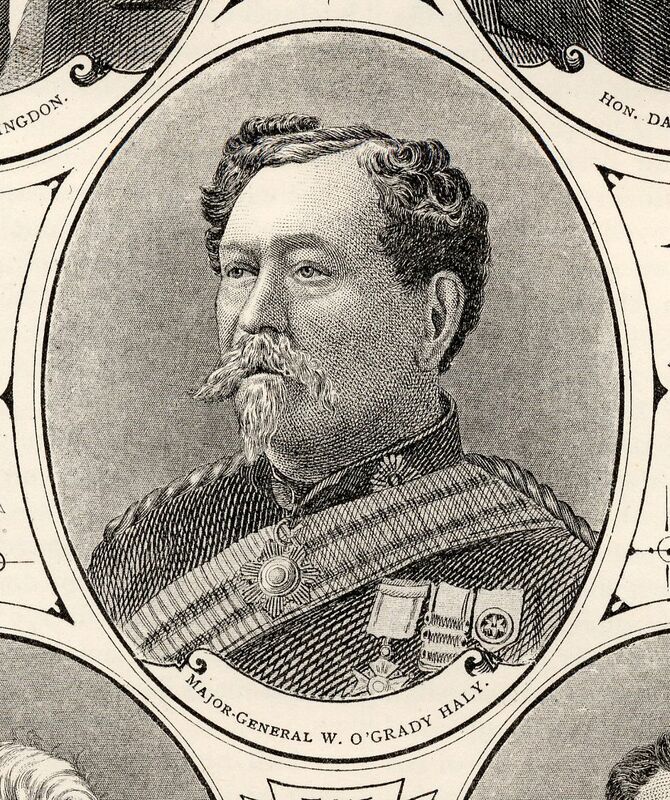 He died in office in 1878 as a result of an attack of “gout of the stomach.” He had married Harriett Hebden, and their eldest son, Major-General Richard O’Grady Haly, was goc Canadian militia, 1900–2. Royal Archives, Windsor Castle, Cambridge papers, Dufferin to Cambridge, 11 Dec. 1874. [Blackwood and Herbert], Dufferin-Carnarvon correspondence (de Kiewiet and Underhill), 156, 164, 283, 346–48, 384, 419. The annual register: a review of public events at home and abroad for the year 1878 (London, 1879), 142. Boase, Modern English biography, I, 1297. Richard A. Preston, “HALY, Sir WILLIAM O’GRADY,” in Dictionary of Canadian Biography, vol. 10, University of Toronto/Université Laval, 2003–, accessed April 26, 2019, http://www.biographi.ca/en/bio/haly_william_o_grady_10E.html.